The 2014 Vegas ProAm competition season is officially over. Last weekend, we hit the road to Las Vegas Motor Speedway and joined Vegas Drift for round 5, which sealed the standings and fates of drivers who competed all year long. Coming into round 5, the season champion had already been decided by points, but everything beyond that was up for grabs. On one hand, drifting is one of the most fun things you can do, if not the MOST fun. But on the other hand, drifting is also one of the craziest things you can do. 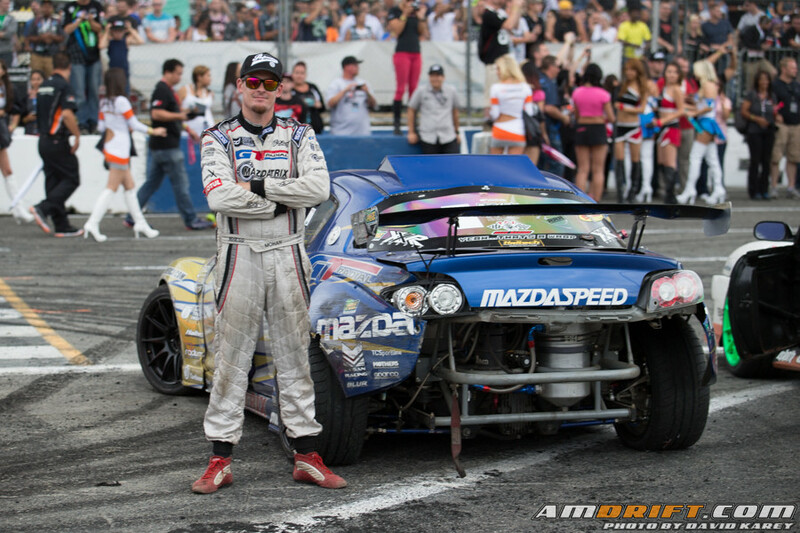 Once you enter Formula Drift, you’ve probably made the best and one of the most costly decisions of your life. How, might you ask? 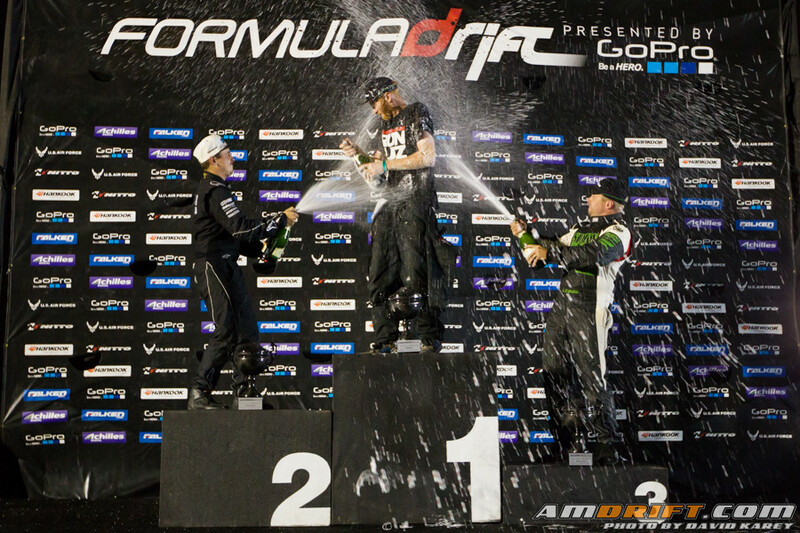 Texas Motor Speedway was the 3rd stop on the Formula Drift Pro 2 schedule this past weekend. 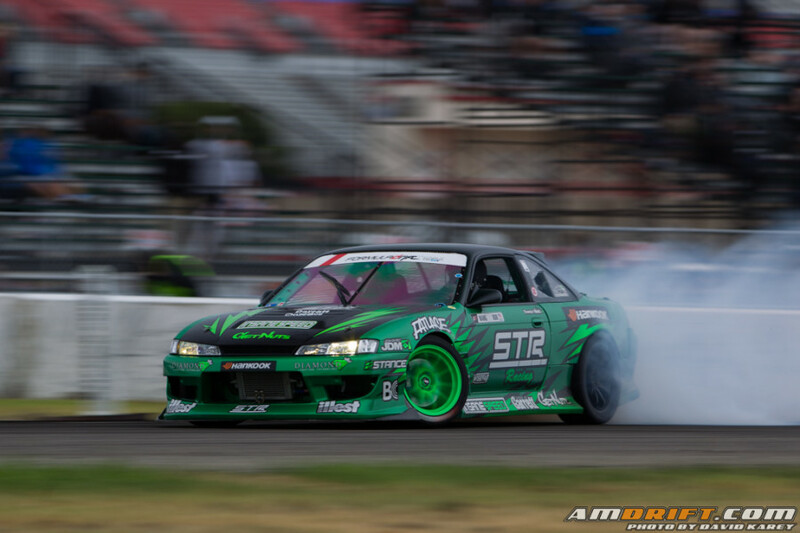 With one more round to go in the Formula Drift season after Texas, the results of Pro 2 Round 3 were bound to mix up the points just enough to make for an exciting race for the championship. Geoff Stoneback is currently on top of the points, with 6 drivers nipping at his heels for the title. After a cold and rainy practice, the infield track at Texas Motor Speedway dried enough to allow a large field of 53 drivers to complete their qualifying runs last night. The results are in and we have them here, with photos! Competition starts today (Saturday September 13) at 4:30pm Central time. We are out here at Texas Motor Speedway for Formula Drift Round 6, and the Pro 2 qualifying results are in. It seems like every driver had an issue with the car, finding the right line, or going too hard and taking themselves out. Most were able to put together at least one run that got them in the Pro 2 Top 16 show to be held on Friday, Sept 12. 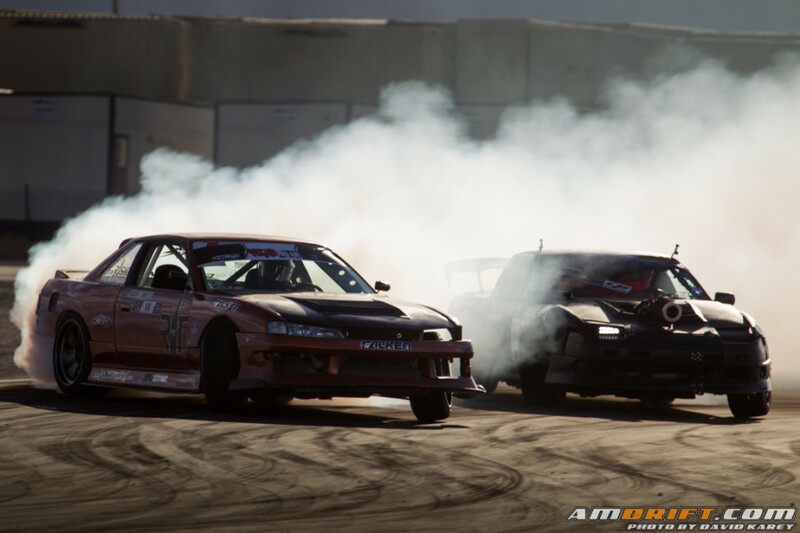 If you live in Southern California and are into motorsports, you know that safe and legal facilities to drive your car to its limits have become scarce over the past 10-15 years.Thursday Night Drift at the Irwindale Event Center is kind of a big deal to us. For all the young readers, let me explain why.